Everyone here at Neopets Headquarters will be off celebrating the holidays with family and friends this weekend. We'll return with something special on Tuesday to make up for the drought. ;) We wish everyone a very happy holiday break! Two more colours are now available for the Snuffly. What a splendid development indeed. A new issue of the Neopian Times has been released. Keep your eyes open for great stories and adventures like 12 Pains of Christmas and How to Annoy a Snowager then Run Away Screaming. Make your Neohome inviting by placing one of these new welcome mats on your doorstep! Creolegyrl1's lovely home has just won her the Neohome Spotlight. Go visit her at 137843 Safari Lane, Mystery Island. If you like turkey, there are four new turkey dinners on sale in the Food Shop. You best hurry before all the mashed potatoes are gone. Some holiday Poems are now available in the gallery. Enjoy! Think of something witty for this holiday Caption Contest and you could be rich and famous! Or just make your parents very proud. Michellejeansmith should be very proud of Chloe21403 the Snow Wocky. She's just won the Pet Spotlight award! Some holiday windows for your Neohome are now on sale at Brightvale Glaziers. Make sure you take them down after the holidays though. No one likes a lazy neighbor. A new week means a new Beauty Contest. Finish up those entries and get them submitted before it's too late! These new puddings come in Voidberry, Orange Rambus, Islandberry, and Blurble flavors. Mmm, fruity pudding. A new Random Contest has begun! Because of the holidays, this contest will also last two weeks, so you have plenty of time! Congratulations to all the winners of last week's contest! Last but not least, a very festive Christmas Techo is now available at the Rainbow Pool. A new Lenny Conundrum competition has begun. The answer to last week's was Asparagus Gateaux. 6,102 people guessed the correct answer earning themselves 328 NP each. Of all the things to be haunted by, the cutest must be the Ghost Xweetok. Five new Poems with no particular theme are now available to read. This week's PPL award has been given to the Rainbow Magaral. Well done PuffleUpAGus, SirSqueaksALot, FluffyBum, John, and all the others. Wicca_rawk_chick and her cave Christmas Tree Maze have just won the Pirate Cave Of The Week. Hoorah! A new page of user submitted art is now on display in the Art Gallery. 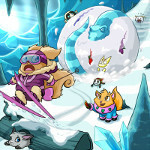 A Defenders Day by kittycaric has won the Neoadventure Spotlight award. Huzzah! Get into the holiday spirit with this new desktop Background. Hasee Bounce is the game and Rufus is your challenger. Are you good enough to win a Better Than You trophy? If you're stuck inside due to snow or avalanche, you might have some fun with one of these new Coloring Pages. Buckbeak1988 and his owner fireandice92 have won the latest Site Spotlight with their site - Learning to Love Life. If you enjoy curling up by the fire on cold winter nights, these new Books might give you something to do while you're sitting there being lazy. Quiggles can now be painted Christmas at the Rainbow Pool. Either this one is really happy about it, or he needs a bath. Silver_mane will be pleased to hear his Borovan Delicacy gallery was named this week's Gallery Spotlight. Blind Mysteries is the latest Meridell Castle Spotlight winner, created by none other than henry45. The Toy Shop has these new plushies on sale, lovingly crafted by first years at the Neopian Academy of Plushie Arts. Every plushie maker has to start somewhere, right? Yiie is the proud owner of Sikihu the Cougi, the latest Petpet Spotlight winner. How sweet. You may have something clever to say about the newest Caption Contest, but the Shoyru isn't laughing. There is a new Mystery Pic competition. The answer to the last one was the Pick Your Own. 600 people guessed the correct answer, earning 3,334 NP each. A new location has been added to Kacheek Seek for the coming Day of Giving! Some new Kwanzaa Neogreetings are now available for you to use. Hoorah! Oniamuro's rather snowy lookup has earned her the User Lookup of the Week. Well done! Oh dear. If you decide to paint your Usul this lovely shade of Ice, be sure not to let it out in the sun or anywhere near open flame. Today is Snuffly themed! Why, you ask? Why not? It's cute, it's cuddly, and it makes silly noises while it eats. Remember to check out the Advent Calendar each day during the Month of Celebrating (Dec) to see snazzy animations and receive free gifts! Five new Snuffly Poems are available for you to enjoy. This Snuffly Sketch Background is the perfect desktop adornment in the winter months. 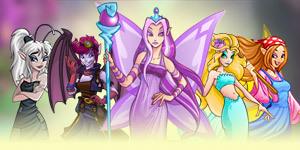 Congratulations are in order for rosydots3, winner of the latest Faerie Caves Spotlight. Your trophy is being shipped out, but it will take a while to make it to Antarctica. There are four new Snuffly Fun Images for use on your Pet pages, User Lookups, or wherever you wish! Three new Snuffly Shopkeepers are available for you to use. Be warned! With a cute shopkeeper like that, people may pay more attention to it and less attention to actually buying things. If plain ol' White doesn't suit your Snuffly, they can now be painted Black, Pink, Darigan and Mutant at the Petpet Puddle. Splendid. Gaze to the Future with magirose and Vyala, the latest Site Spotlight winners. 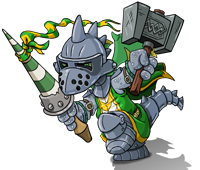 Neopets is not responsible for cuteness related deaths caused by overuse of this new avatar. Venture into DOOM LAND to play aaronhaef's Minigolf Spotlight. These new Petpet Supplies are perfect for your Neopet's Snuffly. Who wouldn't want a blanket with their own picture on it? Jake has just made a fascinating discovery... Caves & Corridors: Mystery Island! Can you help him on his quest to find the golden idol? "Who are you?" he bellowed, pointing his spear at the stranger. "Why are you here on restricted grounds? State your business! WHO ARE YOU???" The Scorchio looked around, bewildered, then stared blankly at the Ruki. "You know," he began, "I haven't the slightest clue..."
Three new Jetsam plushies are available in the Toy Shop! They come in Snow, Speckled and Spotted. The first Pet Spotlight of the week goes to Ryozine the Island Krawk. The latest Caption Contest was made to illustrate the dangers of "Holiday Shopping Procrastination." Shop early and such travesties can be avoided. These new sandwiches are sure to hit the spot if you require triangular-shaped sustenance. Those who prefer cutting down the middle are out of luck. The Bori and Bruce can now be turned Invisible at the Rainbow Pool. No really. They're right there. Three new swords made of Emerald, Amber and Ruby are now available at the Battle Magic shop.